I love the lighting in this photo! Something unmistakably London pub about this photo! I agree. 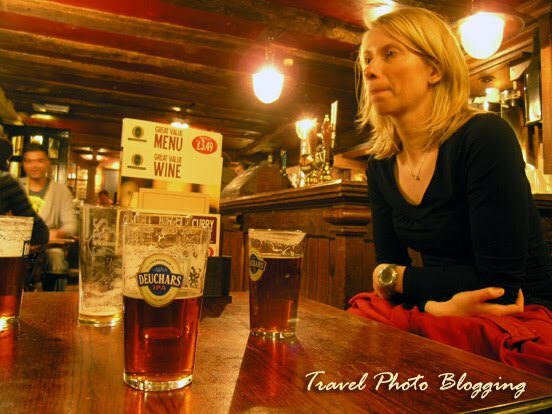 I really like the sometimes smelly and a bit sticky charm of genuine old pubs with real ale. By the way, this photo was taken in the oldest pub in Uxbridge.